Home Entertainment Who is Kang Dong-won’s Girlfriend? Who is Kang Dong-won’s Girlfriend? Are You Curious About Kang Dong-won’s Girlfriend? It can not be denied that relationship gossip is one of the most interesting topics when it comes to celebrities. This is also true for Kang Dong-won who has been involved in several dating rumors but has never admitted to any. 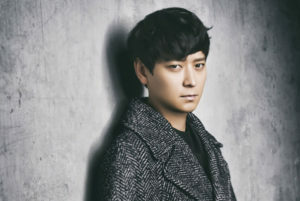 In this article, we will explain all about Kang Dong-won’s dating rumors with female celebrities and his thoughts about relationships. So, keep reading! Lastly, Kang Dong-won said that his ideal type has changed from a woman without stomach fat to someone who likes eating, “I do not really care about a person’s body now. A skinny girl is as charming as a plump one. Sometimes, when several different types of women join a get-together, I feel different attractions to all of them”. The first female celebrity to be involved in a dating rumor with Kang Dong-won is none other than South Korea’s top-notch beauty Song Hye-kyo. They were spotted together in Paris, France, on May 20, 2014. The picture of the actor and actress was taken by a Chinese fan who posted it to an online forum. 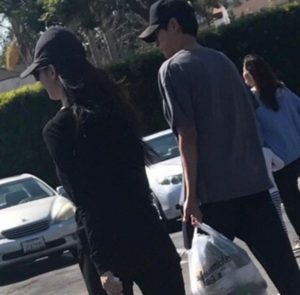 Many netizens commented that either the pair must have gone on a vacation together or Kang Dong-won followed Song Hye-kyo who went to the Cannes Film Festival. However, Kang Dong-won and Song Hye-kyo’s agency United Artist Agency denied the rumor, “The two are in Paris for a photo shoot after wrapping up their movie My Brilliant Life. Staff is with them”. What their agency said turned out to be true as Vogue released their photo shoot which you can see below. 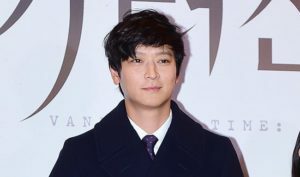 In July 2018, Kang Dong-won was involved in a dating rumor with actress Han Hyo-joo. The two of them have worked together on the movies Golden Slumber and Jin-Roh: The Wolf Brigade and were seen together in the U.S.A.
Well, what do you think? Do you think Kang Dong-won and Han Hyo-joo are currently dating?